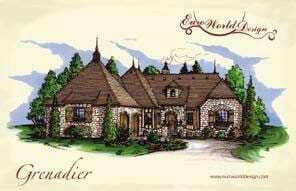 "Designing homes with character is our passion"
"Looking forward to your return home is our reward"
Euro World Design by Ron Hill has been designing Old World style, French County, Country French and European house plans since 1992. Owner/Designer, Ron Hill, states "we look forward to helping our clients, who have commissioned our services, to design homes that have the character you would find in Old World communities that in turn make them look forward to their return home." 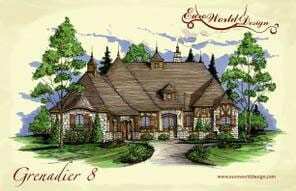 Euro World home designs have been built all over the United States. 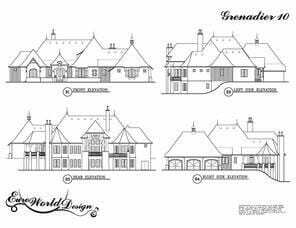 Euro World offers catalogs of predesigned home plans featuring our Court Yard Cottage Collection. 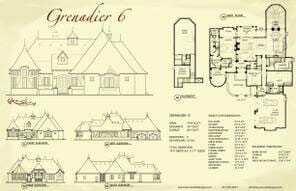 These can also be viewed under our plan library section with our Manor designs. 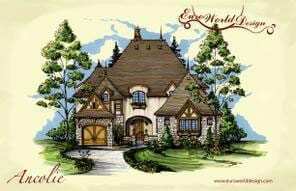 Storybook home plans and Luxury home plans are available upon request. 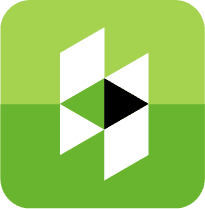 Along with Euro World's Custom Home Design services, we also provide Remodeling Design, Interior Design, Commercial Design, and LEED Design services. 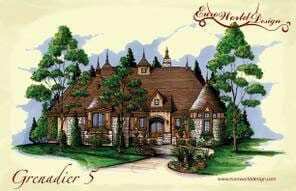 Follow our new homes being built and news about Euro World Design by subscribing to our Blog. 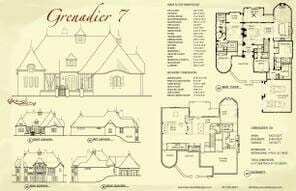 Check out our house plans in our Plan Library. Request our book of Courtyard Cottages. We look forward to your next project.